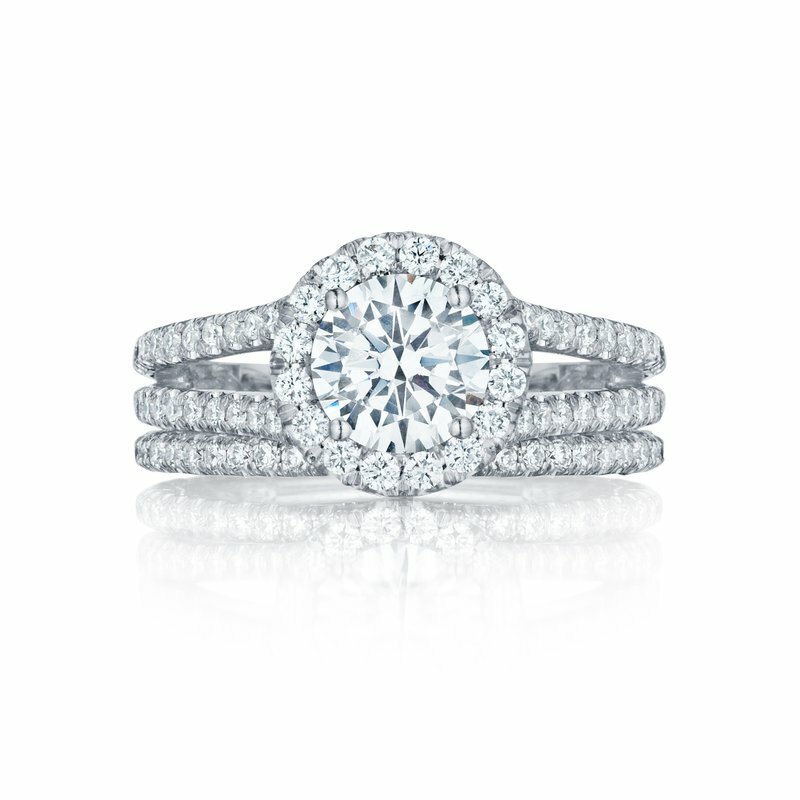 Double the love! 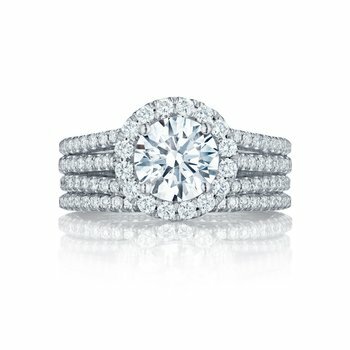 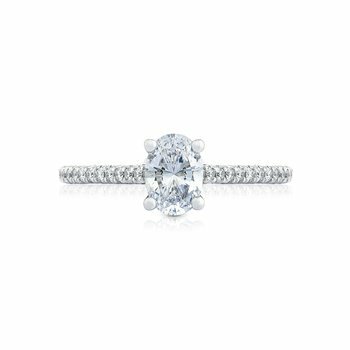 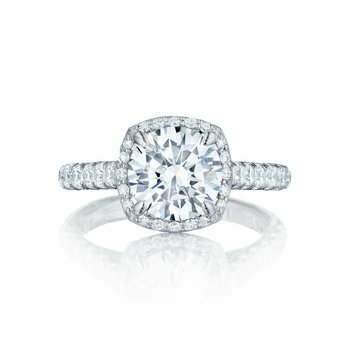 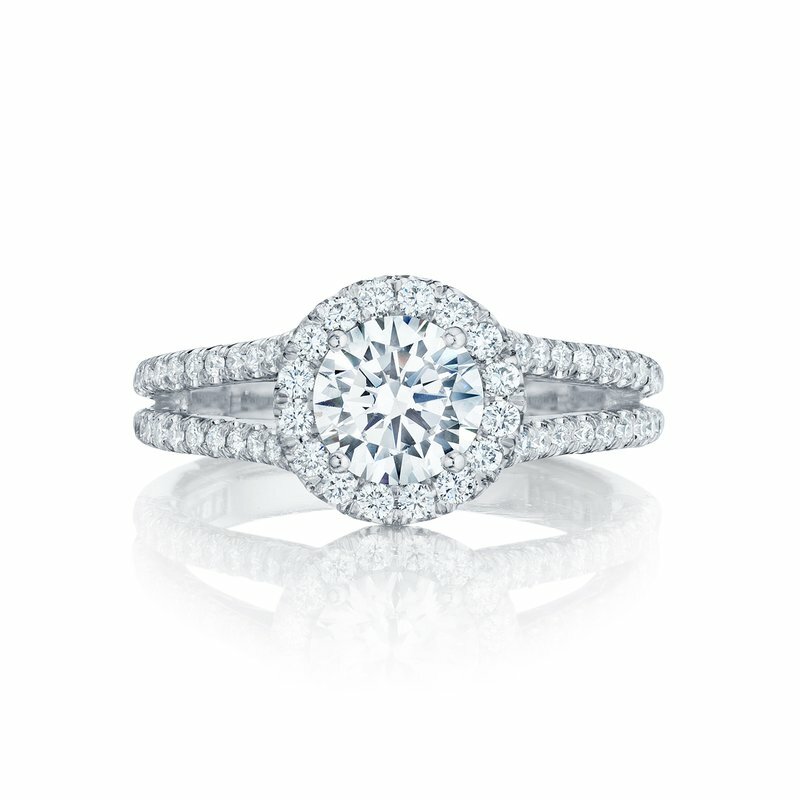 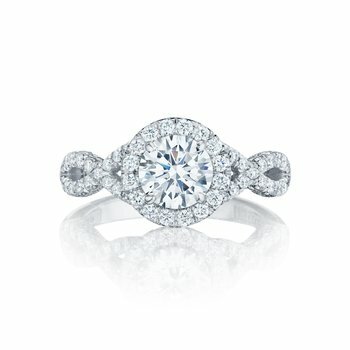 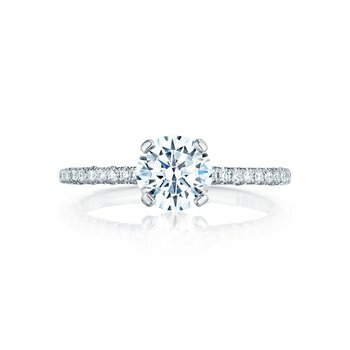 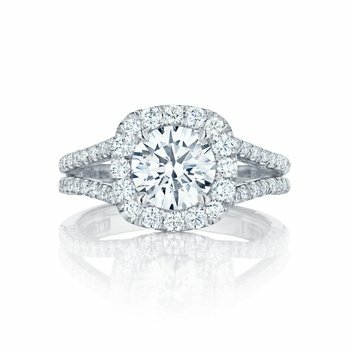 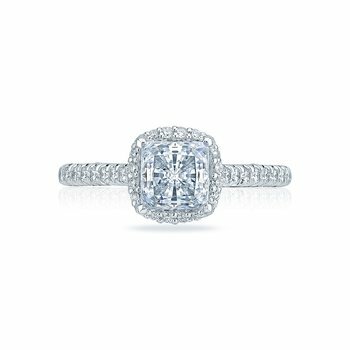 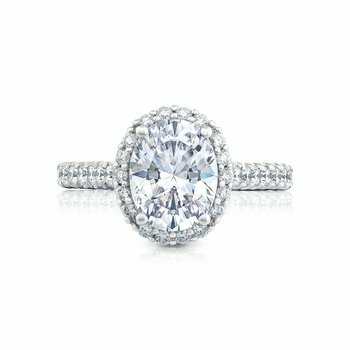 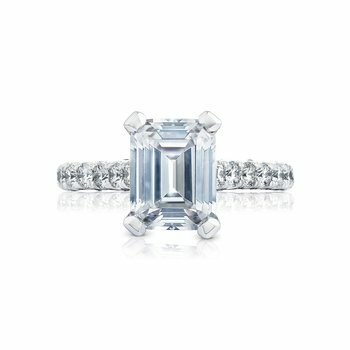 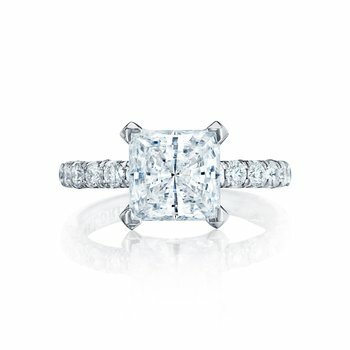 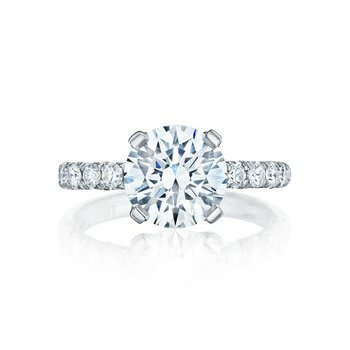 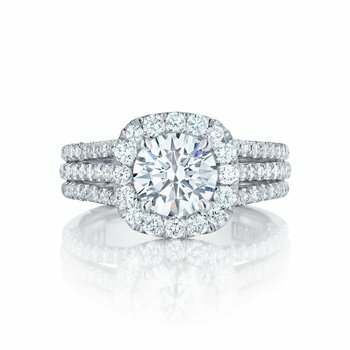 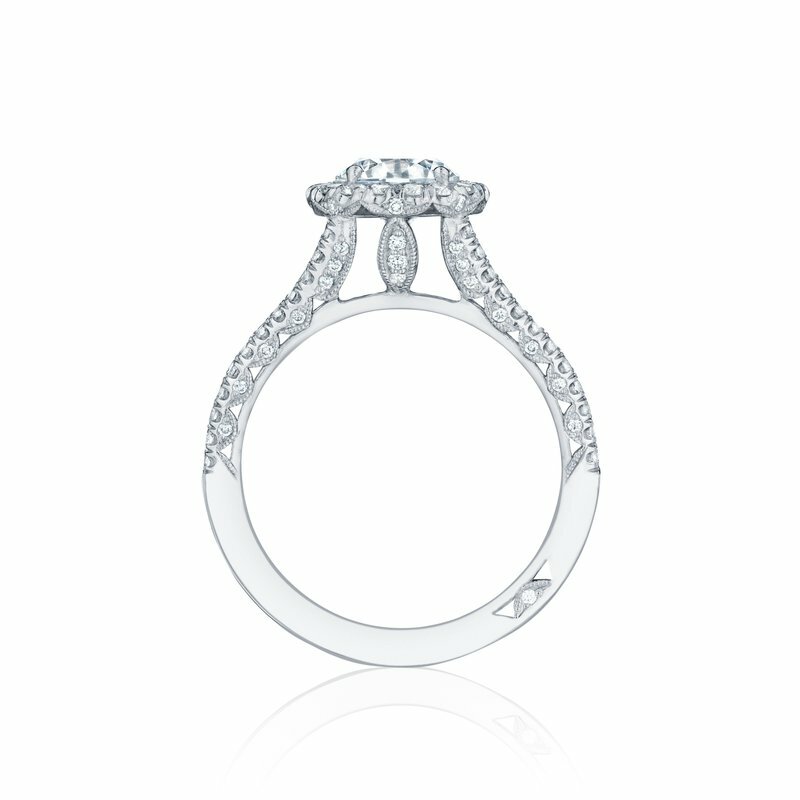 This unique Tacori engagement ring has not one but two ceilings that lead their way up to the brilliant round center diamond. 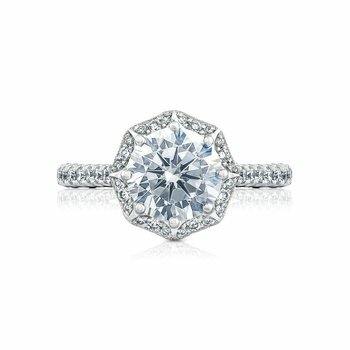 The ever so popular round center diamond is surrounded by a blossoming bloom of stunning white diamonds. 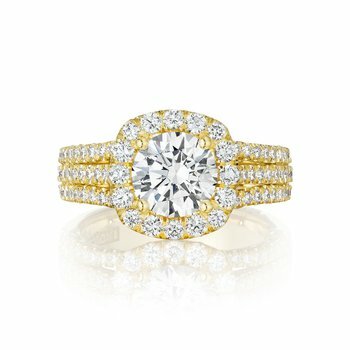 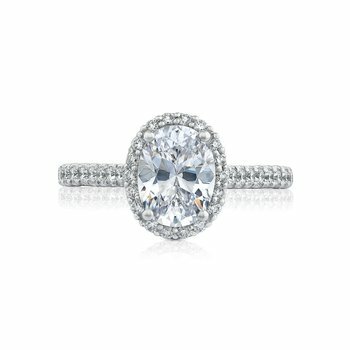 A breathtaking inner face with sprinkles of diamonds all along the interior crescent silhouette is what makes this ring truly Tacori.